How deep the irony that invocation of Aneurin Bevan is all too often little more than a gesture of contentless radicalism, much in the manner of a faded Che Guevara poster ironically adorning the walls of an undergraduate hipster’s bedsit. To this day, Neil Kinnock’s curious penchant for upholding a one-time militant miners’ strike leader as a primary inspiration, even while actively seeking to weaken Scargill in 1984-85, readily springs to mind. The tradition continued when Gordon Brown happily provided the foreword for the 60th anniversary reprint of Bevan’s 1952 book In Place of Fear. Given the volume’s overt demands for widespread social ownership, the temptation is to conclude that the arch exponent of PFI could not have read it too attentively beforehand. The latest Labour figure to pull off this now-overused trick is, of course, Owen Smith. The Pontypridd MP is mounting a leadership challenge to Jeremy Corbyn, and in consequence is these days somewhat keener than hitherto to affect an air of radicalism. His ritual incantations are strangely toe-curling. Smith has even gone so far as to call Nye ‘my great hero’, while newspaper profiles have spoken of his ‘close identification of himself with Bevan’ as the ‘key to understanding Smith’s thinking’. Of course, the desire to establish leftist credentials through a surrogate is a time-honoured stratagem for those boasting few of their own, but nevertheless forced by expediency suddenly to conjure some up from somewhere. The NHS is a good thing? Check. Council housing is a good thing too? Check. He even dropped opposition to nuclear weapons in the end. And South Wales born and bred to boot! Perfect. Colour me beautiful, I’m a Bevanite. But if avowal of fealty is to mean anything other than a fatuous namecheck, it would actually have to entail something substantial in terms of socialist commitment. And this is where the ploy all breaks down. Hey Compliance Unit, better check this guy’s Twitter timeline, pronto. Were Corbyn or McDonnell to write anything as explicit as that, they would be crucified. Then, of course, there is the issue of Bevan’s close relations with the Communist Party. A strong advocate of the formation of a popular front, he was briefly expelled from Labour in 1939 for his links with Britain’s premier apologists for Stalinist Russia. Today’s Labour right has extracted ample mileage by levelling similar charges against key members of Team Corbyn, decades after any of this has ceased to matter in the real world. So don’t expect Smith to emulate his icon on this one, either. So if Citizen Smith is no Bevanite – and he’s no Owenite either, but that’s another article – what exactly is he? We’ll find out as his platform develops, I guess. Heaven knows, Britain could certainly do with £200bn additional infrastructure investment, and any attempt to bring about better gender balance in British politics will be entirely welcome. But the offer falls a long way short of Bevan’s bowdlerised Marxism, which boiled down to a call for parliament to salami slice capitalism out of existence. The postwar Labour governments never got anywhere near that, of course. Yet their achievements were real and transformatory, in a sense in which nothing I can imagine Smith putting forward could come anywhere close. And despite the occasional rhetorical assertions otherwise, it isn’t even fair to call his policies ‘Corbynism with competence’, either. Rest assured, I don’t doubt the competence, just the Corbynism. Unless and until he can show otherwise, we are being asked to buy into merely the latest iteration of social democratic managerialism, tweaked a few millimetres to the left by a guy who even looks like a bank manager. However you want to paint the legacy of Aneurin Bevan, it deserves a memorial vastly more glittering than that. The big give away for me was when I watched the doctors strikes. They were protesting at Hunt’s new contract, which they said was harmful to both doctors and therefore patients. Now – I watched many of these strikes on the TV. Now, if Bevan had been alive – he would have been standing there with them – arguing their case, and in solidarity with them. After all, the NHS was his baby, so to speak, and he was deeply passionate about it, having seen so many people or their children die, because they could not afford a doctor. Did Owen do this, well if he was like Bevan, surely he should have been there? I could be wrong, but I do not remember this. Owen smith has not come to emulate Bevan but destroy everything he stood for. I just wish the rest of our media and especially the BBC would take 5 minutes of their time to provide factual information like this instead of the propaganda they seem hell bent on perpetrating. Why have the left film makers and journos (they do exist) not undertaken some real forensic investigative journalism regarding the bullying and intimidation thesis that is being trotted out on a daily basis for many months now? The LSE did some groundwork. Follow through, please. Andrew Marr: The nuclear deterrent (sic) only works of course if the Prime Minister of the day is prepared to press the button and annihilate possibly millions of people. As Prime Minister, would you press the (nuclear) button under certain circumstances? (ANDREW MARR SHOW, 17TH JULY 2016). Perhaps Owen Smith can be asked to elaborate on these circumstances and what he thinks the consequences would be of such a course of action. Now come on Tony, Owen is just a normal bloke, he’s said so himself, a wife, a couple of kids and the enthusiastic and unhesitating willingness to vaporise millions of people in a millisecond before threatening life on earth with a nuclear winter. Like I said, normal. Funny at our CLP nomination meeting we had a Labour councillor speaking for JC and he focused on why we should back JC! 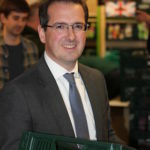 For Smith they had a ‘great man of history’ (he kept telling us he was an ex-Secretary of State) and he hardly promoted his Hollande look-a-like candidate (with the same timid policies) but tried instead most of the time to attack JC. Owen is perhaps the fig leaf, pretending to be left and is as dull as ditchwater- he stands for nothing. Like the Tories are trying to CON the public that they rule for everyone (and not the rich Ha! Ha!) the Right and timid Neo-Liberals in Labour are trying to hoodwink Labour members. With JC we will have radical change and members power over policy etc. and with Smith perhaps a return to top down control with Labour members being seen but seldom heard! JC has probably brought up to £15m into Labour with last years new members, the recent membership rush and the £25 supporters. Smith has probably brought in 15p. Bland and timid is as bland and timid does! Don’t you think Labour’s attempts at gender balance, such as AWS, may have contributed to the party’s difficulties in producing outstanding female politicians? I mean, where’s our Theresa May? Theresa May is a fig leaf for the Tories pretending to be moderate and ruling for working people when they are for the rich! We all need to expose them for what they are and make the Masque of Pandora slip! The question is CAN the CONservatives CONTINUE TO CON THE COMMUNITY? As for Labour I have come across many potential Rosa Luxemburg’s out there in Labour branches, trade unions, and at Momentum rallies and meetings and perhaps we just need to sign up the best fighters for working people (87 men and 87women) and yes about 174 new left wing democratic socialist Labour MPs would just about do! As for Owen Smith it could be argued he is trying to hoodwink the membership, pretending to be Left and a socialist, to try to present the Labour Party back to the top down Right Wing Labour MPs. That would be back to the previous status quo – top down control by the “Labour Masters and Mistresses” where Labour members are seen but seldom heard! Where’s our Theresa May? 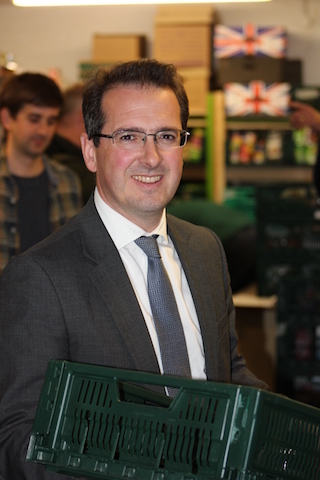 Step forward Owen Smith! WHEN DONKEYS PRETEND TO BE DRAGONS. As the blarney stone they kissed. They lied through Pharma tears. In a chorus of hear hears? Last throes the great men and women. But do WE need the great men and women of history? Or do we just need each others? and not Owen ‘fake designer goods’ Smith! And roars the fake left Gorgon. As deceit it pours from clowns. The last hurrah of the great men and women of history. NOW FIGHT FOR THE OPPRESSED!